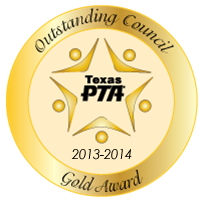 Our Council, with 70 local-unit PTAs and more than 22,000 members, is the key link in the line of communication between the local, area, State, and National PTAs, as well as with the school administration and the general public. Councils provide opportunities for conferences, leadership training, and coordination of efforts, plus information, support, inspiration, and instruction for Council members. Plano ISD Council of PTAs is involved in many programs and projects, including leadership training, Officer and Chairman Training, Outstanding PTA Award, Life Membership Banquet, Reflections and Texas PTA Environmental Programs, Vendor Fair, Plano ISD administration holiday luncheon, local PTA program recognition, legislative action and community issues and more. Increase the PTA/PTSA membership numbers across the district to 30,000 by focusing on increases in strategic areas on all local campuses including student, teacher and community participation. Increase awareness of the Purposes and Values of PTA/PTSA through strategic areas including back the future events, mission moments, positive PTA press in local papers and publications, and providing marketing materials to be used by local PTAs. Increase the diversity of our PTA/PTSA membership to more closely reflect the demographics of our local campuses. Enhance good resources to be great resources through purposeful, planned and precise communication and training. Increase the understanding of TODAY’S PTA as a working partnership between all levels (local, council, region, state, and national).